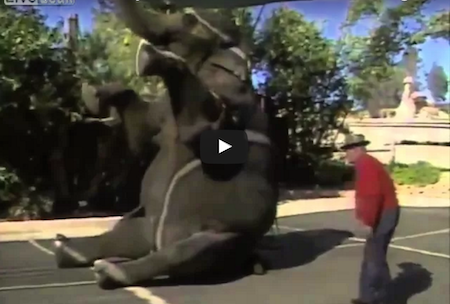 In 1988, Huell attended a touching reunion between Charlie Franks, an 80-year-old elephant trainer, and Nita, the elephant he had raised from a baby of five years. When Charlie retired in the early 1970s after traveling the world with his beloved performing elephant, he donated her to the San Diego Wild Animal Park, and hadn’t seen her for 15 years. Charlie passed away shortly after this segment. Nita died in 2009 at the age of 60. Huell Passed away in 2013. This video is their tribute. 17 Dads That Deserve The ‘Father Of The Year’ Award!